When Pete and I initially signed our contracts we knew we were given ten days off on top of all the Korean Holidays. Little did we know that these days would not be bunched together in a group but rather spread out individually across the 12 months we would be in Korea. This put a slight damper on our travel plans during winter break because instead of getting 7 days off like we thought we were, we only received 5 days. But at this point we were determined to go somewhere warm and that wasn’t Korea. So, we combined our very small budget with some of our goals to be completed before heading back to Canada. The cheapest place to fly to was hands down the Philippines. So we did some research and looked for things there that would be worth the money and time. 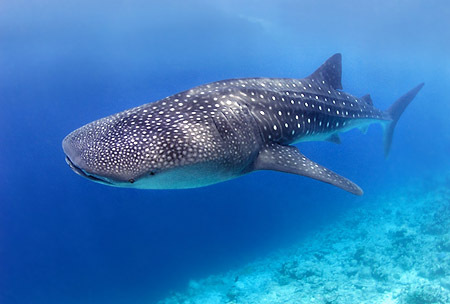 We were ecstatic when we found out that January was the beginning of the season to swim with the world’s largest fish, the whale shark. This was never on our dream list, but after seeing pictures and reading about the unbelievable experience how could we go through life knowing we missed such a thing? So about $400 later, two plane rides, and a very sketchy first introduction to Manila, we landed in a small city called Legazpi. We arranged for a car from the hotel to meet us at the airport to do a city tour before heading to Donsol. Pete and I, being frugal travelers we planned on busing and taking public transport from Legazpi to Donsol, but after a sleepless night in the airport and being on a time crunch we really wanted to get the most out of our trip to the Philippines so we opted for the charter. 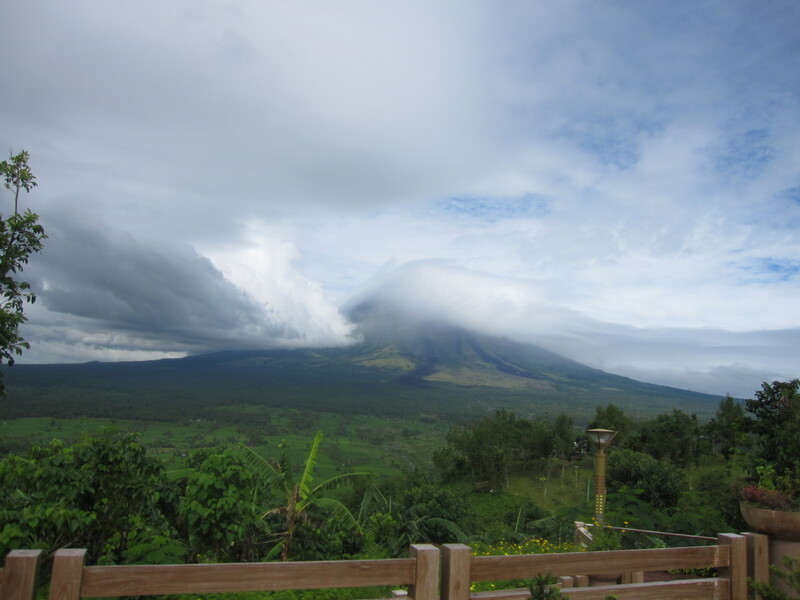 Which in the end, I was very glad for, because we got to see the Cagsawa Ruins, the Mayon volcano and Langon Hill. The volcano, although covered by clouds, was enormous! Other than our trip to Santorini, Greece, we had never seen such a volcano. 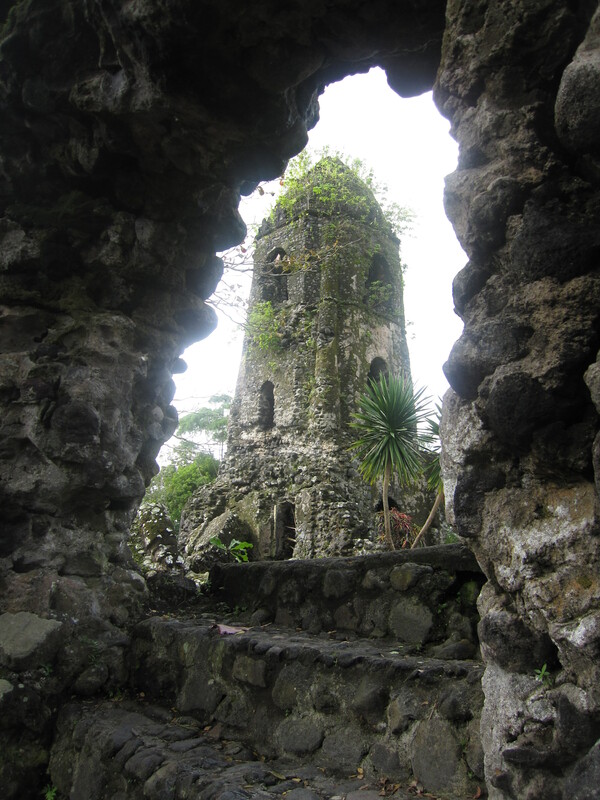 The Cagsawa Ruins were also an unbelievable sight. It was an old church where during the 1814 volcanic eruption, 1200 people hid out because they thought they would be spared the horrible death of being burned up by the lava. Unfortunately, they all perished and the church was almost completely destroyed. The only remaining parts were some of the exterior walls and the bell tower. With the Mayan volcano in the backdrop, the ruins stood as an eerie reminder of the true danger of volcanoes. 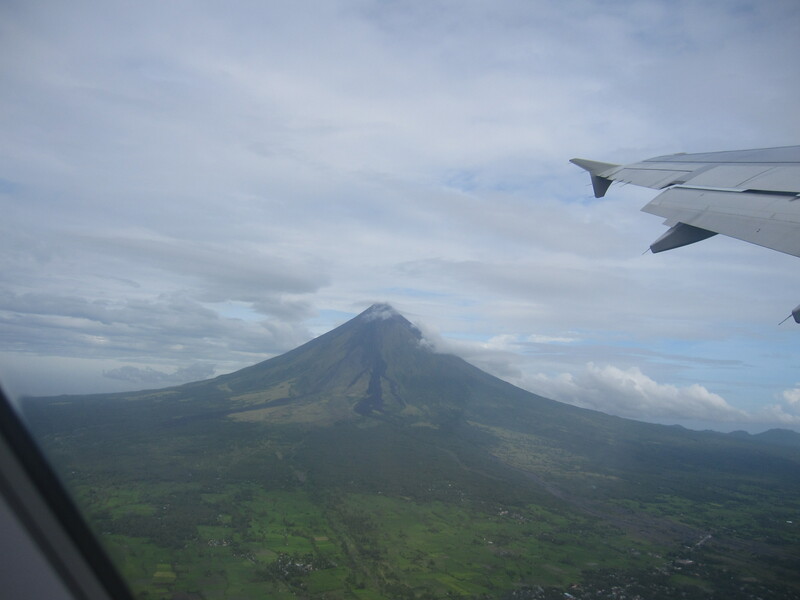 This is definitely a sight worth seeing if you venture to Legazpi. The drive to Donsol was a good hour, and having not slept the night before Pete and I were rocket to sleep by the van weaving around all the corners. It was a much needed cat nap for our first day in Donsol. We stayed at the AGM resort which was right on the beach so we cracked some dollar beers and watched the sun go down before headed out to the firefly boat cruise. We split the cost of the boat tour and the transportation with a Mother and her two kids from Denmark. It ended up being ridiculously cheap but when we saw the tricycle pull up to our hotel the only thing going through our heads were “Pete can barely fit in this. Let alone 4 other people, plus the driver”. To give you a better picture, imagine a motorcycle with a covered side car attached. After playing human Tetris for a few minutes we were all holding on for dear life as we putted by at about 10 km/h, around pot holes, children, dogs and some other overly crowded tricycles. The boat tour itself was unbelievable. Unlike in Canada, fireflies in the Philippines live in colonies. We were able to see thousands upon thousands of fireflies swarming around the canopies of the trees. It was one of the most beautiful sights I have ever seen. It looked like a sparkling Christmas tree that was breathing. On top of the stunning images we also learned a lot about fireflies from our guide. Did you know that fireflies are carnivores that eat larvae on trees by injecting a paralyzer into them? Or that the male and female have different blinking patterns? Me either! So not only an amazing sight that I will never forget but also very informative! 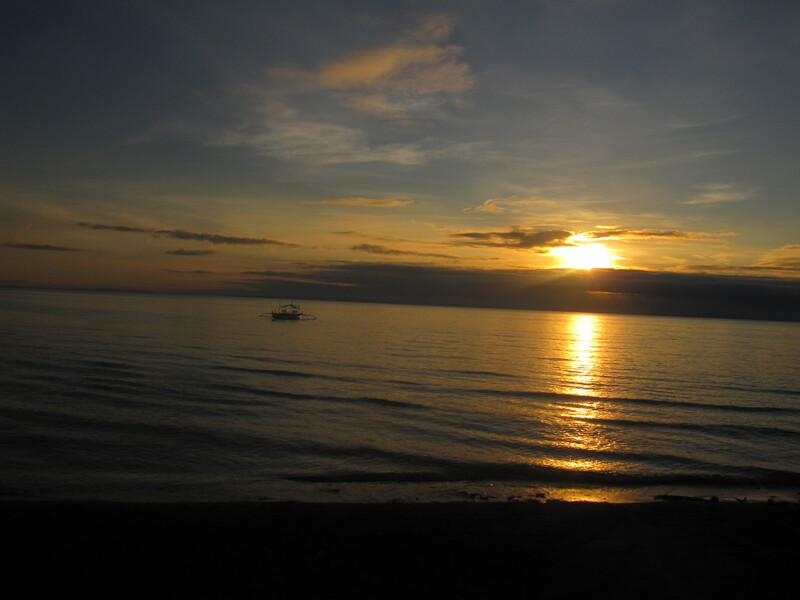 We had such an amazing first day in Donsol, we were starting to get a little frightened that it will all turn sour the next day with bad weather or no whale shark sightings. So we had a few more beers and called it a night for our early wake tomorrow. Pete and I had done a lot of research to maximize our chances of seeing some whale sharks; after all we didn’t fly all the way to the Philippines for fireflies, as beautiful as they were. Apparently, the best time of day to see the sharks is in the early morning. So we made our way down to the tourist office and signed up for the first available boat out. We were paired with a couple from Slovenia, a woman from Taiwan and a local Philippines girl and off we went. 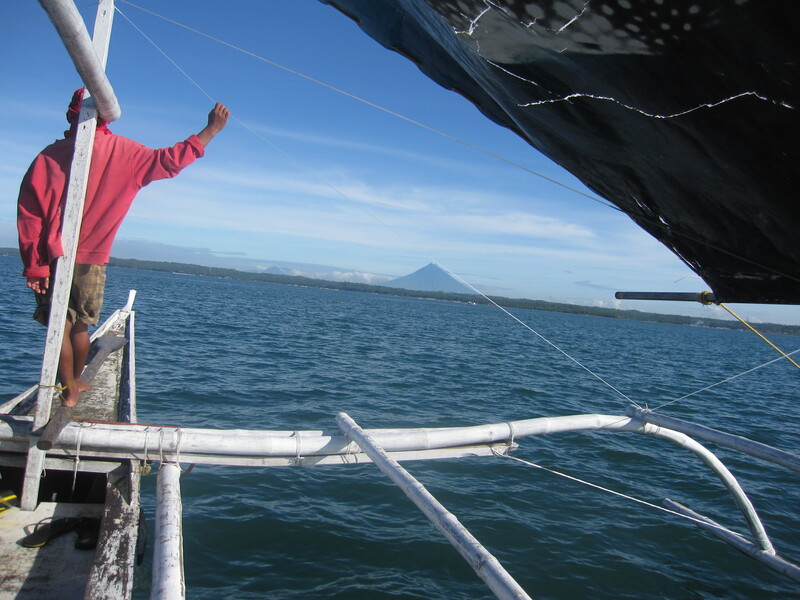 After sitting on the open water, with a beautiful clear view of the Mayon volcano, for two hours, we had successfully tanned our entire bodies while waiting for the arrival of the whale sharks. 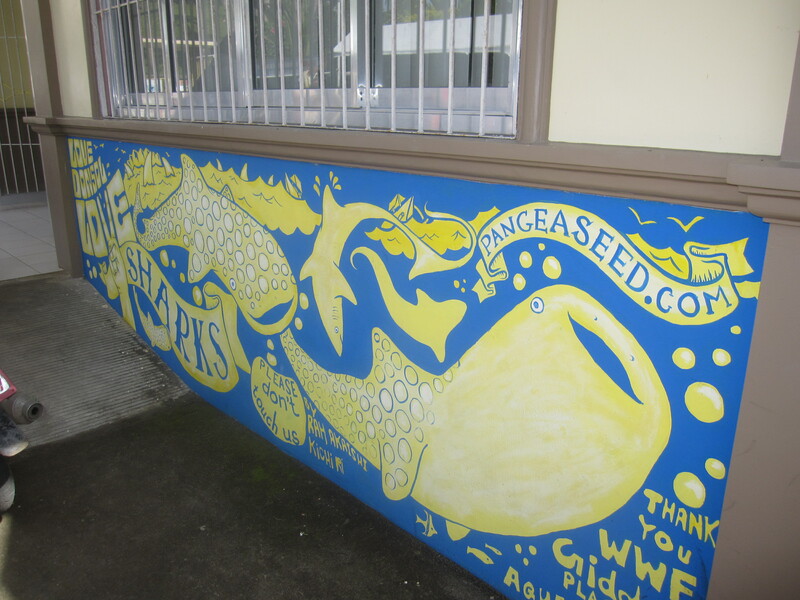 Everyone looked at our BIO (Butanding Interaction Officer) anxiously, who had promised us we wouldn’t be leaving until we saw a whale shark. But 11 o’clock rolled around and our boat jumped into high gear racing to catch up to the swarm of boats that had clearly spotted some sharks. Adrenalin was now racing through our bodies. Is this it? Is this really happening?! Are we going to finally see these long awaited sharks!? 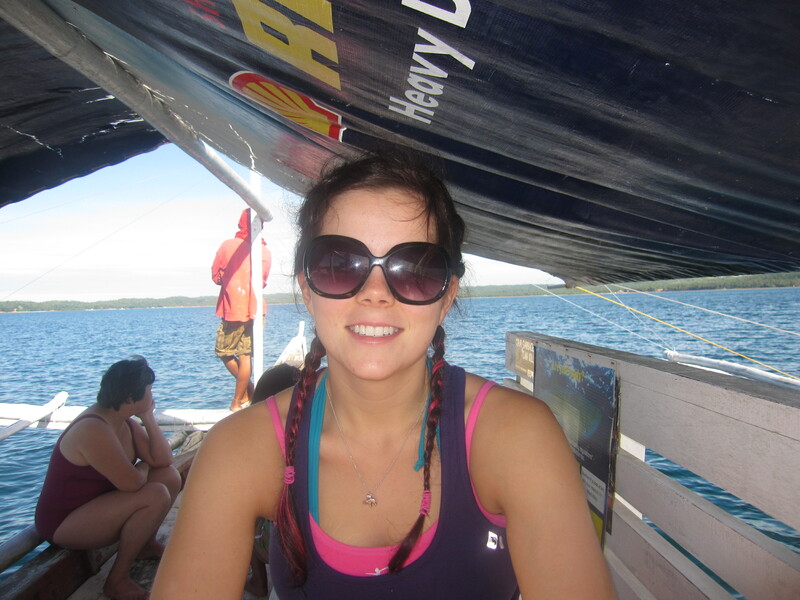 We quickly got our gear on and sat eagerly by the edge of the boat awaiting instructions to” jump” by our BIO. Any fear I had of being swallowed whole by these beasts, or by any other sharks that may have been lingering in the waters, flew out the window in the chaos of disembarking. When our BIO yelled “JUMP!” all 7 of us jumped off the side of the boat, on top of one another. We quickly followed the lead of our BIO through the water to where there were swarms of people. We looked… and looked… and looked but nothing was there. All that excitement for nothing! So we all swam back and hung our flippers off the side of the boat anxiously waiting for the next opportunity to jump. A few minutes later there was another spotting. Our boat got into position and we all jumped, swam over to the swarm of people who had beat us there and looked down in the water. I must have been staring at the same spot for a minute thinking “what is everyone staring at! ?”And then I saw it. It was one of the most amazing sights I have ever seen. It’s head was wider than I am tall, and its colour was of soft grey with white spots. It was so close that if I was to become vertical I would be at risk of kicking it with my flippers. I swam alongside it for just over a minute, taking in every inch of its gigantic body, when I realized I had only glimpsed one quarter of it. This Whale shark was easily 15 meters in length and moved slowly through the water ignoring all the pandemonium going on all around it. As our day went on, we got to jump in about 5 more times and I saw a total of four whale sharks. Pete wasn’t as fortunate as I; he only managed to see one whale shark. But, just seeing the one truly made the experience worthwhile. Being able to swim next to such a gentle giant was a surreal experience but in a way, I felt like I was intruding. That I really didn’t belong there, disturbing them as they were just trying to eat. There are no words to describe how beautiful these creatures are, and you realize this as you are looking down at them. Nevertheless, as you are enjoying their company you are also being pushed, kicked, scratched and swam over by the other people just trying to get closer. Pete and I are good swimmers so we had no problem staying afloat, but the sheer madness of the crazed people slightly dampened our experience. I can only imagine how the whale sharks feel being harassed each and every day during their migration to the Philippines. The next day in the Philippines we decided to try our luck again but unfortunately we didn’t get the opportunity to see anymore whale sharks. We did however get to work on our tan and enjoyed being out on the water. We had some lunch at the restaurant next to the tourist office because we were sick of eating the very average food at our resort and then headed back for our last night in Donsol. Our flight flew to Manila early Wednesday morning and we had some time to kill between that and our flight back to Busan, South Korea. 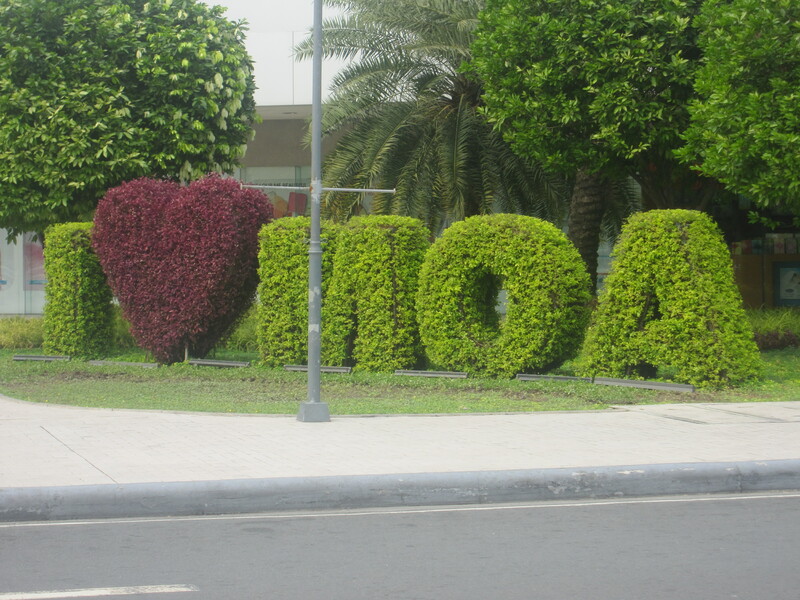 We ended up venturing to Mall of Asia, the biggest mall in South East Asia. Being on a budget, the only thing we bought was a delicious (and cheap for Starbucks standards!!!) frapiccinio. As our trip came to and end, Pete and I sat in the airport thinking about all the adventures we’d just had. We really wished we had more time to explore the Philippines, but unfortunately we had to go back to work in Korea. Looks like you had a great time. 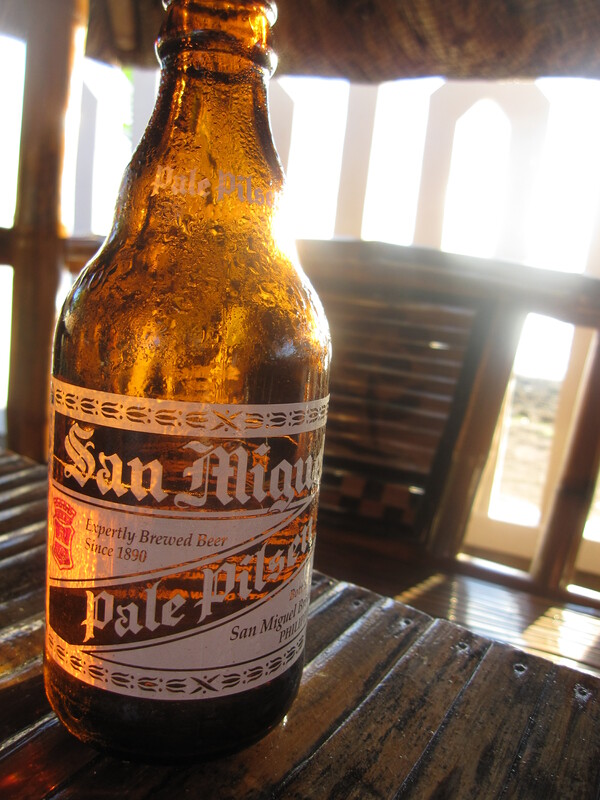 If you ever get a chance to go visit the Phiippines again I highly recommend Palawan. 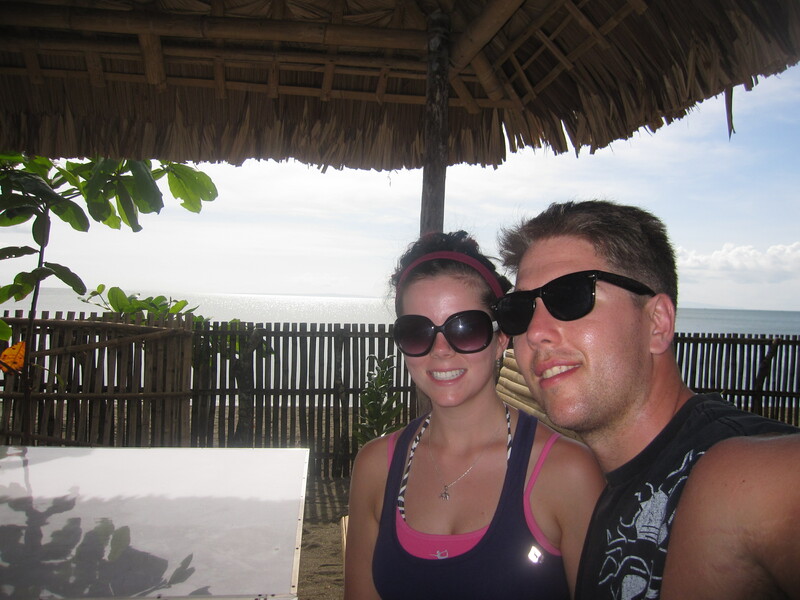 The whales look so beautiful, did you get a chance to touch one?…Nice to see you had a chance to see the Phillipines.